The votes are in for Pacific Ridge School's 2016-2017 Upper School Student Council. 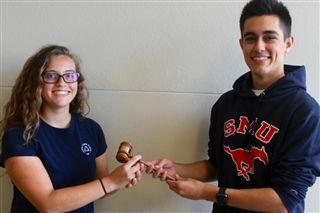 Congratulations and welcome to Executive Council members Amanda Mickelson, President; Samuel Canseco, Vice President; Sarah Levitt Secretary; and Max Dawson, Treasurer; 12th-Grade President, Christian Yun; 11th-Grade President, Ashly Chavez; and 10th-Grade President, Matteo Miller. Voting for class representatives will take place on May 10th, and President and representatives for the Class of 2020 will be elected in the fall to allow new students the opportunity to participate.